Bath additives that offer health benefits and feature clean labels have been driving sales in the category as more and more consumers add a soak in the tub to their self-care regimen. “Bath additives have seen outsized growth,” said Jordan Rost, VP of Consumer Insights, Nielsen, citing data from Nielsen's Total Store View showing that dollar sales in this category were up 40% in the last year. Bath salts are one example of a bath additive increasingly being used by consumers, he said. In addition, social media has helped create awareness for “bath bomb” products that color the bath water, creating Instagram-worthy pictures that have been shared by hundreds of thousands of people, according to some reports. 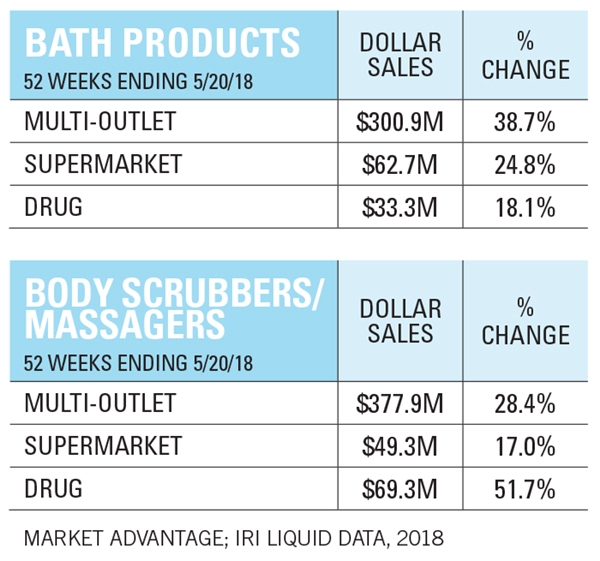 According to IRI data for 52 weeks through May 20, sales of bath products were up 38.7% across all channels, to nearly $301 million, while the bath/body scrubbers/massagers category saw a 28.4% increase, to nearly $378 million. The categories are relatively small in the food retailing channel, where sales of bath products were up 24.8%, to about $62.7 million, and sales of bath/body scrubbers/massagers were up 17%, to about $49.3 million. 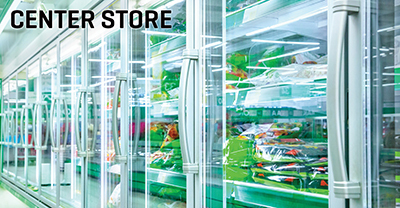 At K-VA-T Food Stores in Abingdon, Va., sales have been up in double digits, largely due to increased variety and the addition of private label items, said Ross Purdy, VP of center store.